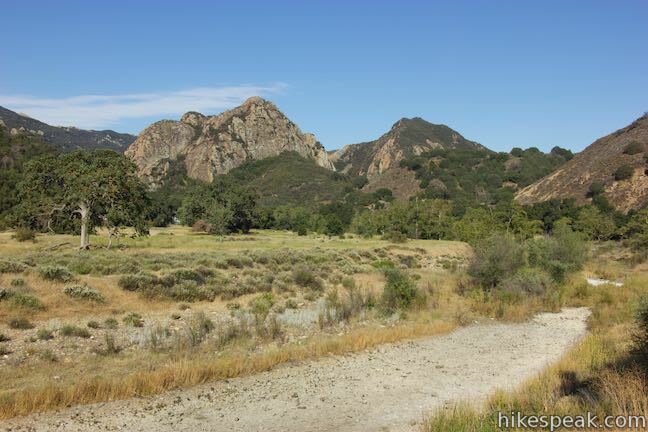 South Grassland Trail enters Malibu Creek State Park from Mulholland Highway, providing a scenic stroll over rolling hills. The trail ends at Crags Road, the major hiking artery through the park. If you are familiar with hiking out of the main parking lot, starting on the Grassland Trail adds about 0.9 miles to those hikes. 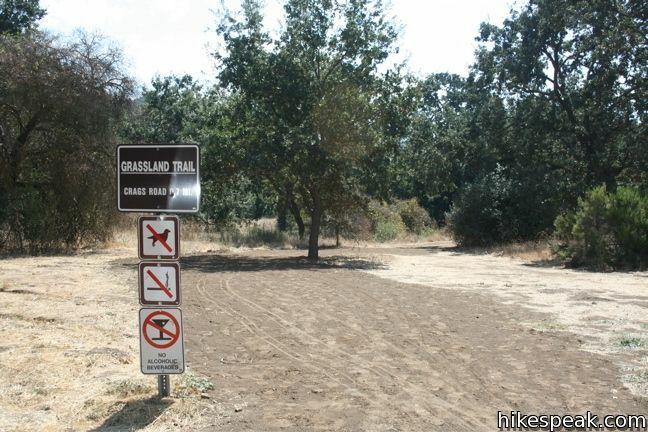 By entering on Grassland Trail, visitors also avoid driving into the park and paying the vehicle entry fee. 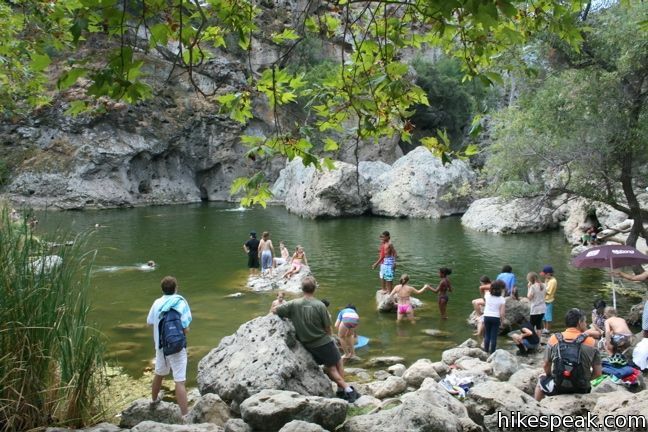 For a pleasant 3-mile hike through Malibu Creek State Park with just 125 feet of elevation gain, consider this lollipop loop from South Grassland Trail to Rock Pool. 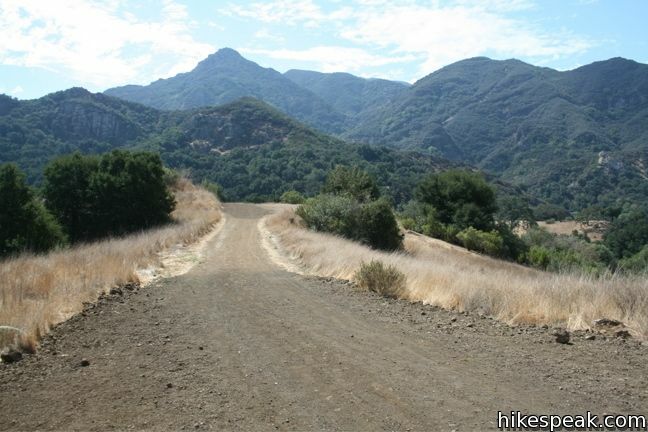 The gradual undulating fire road heads south through open fields of grain, gaining 100 feet of elevation, or just enough to offer far-stretching views of the Santa Monica Mountains. Set out from Mulholland Highway down South Grassland Trail. This trail begins from the south side of the road across from North Grassland Trail, which leads to Talepop Loop. 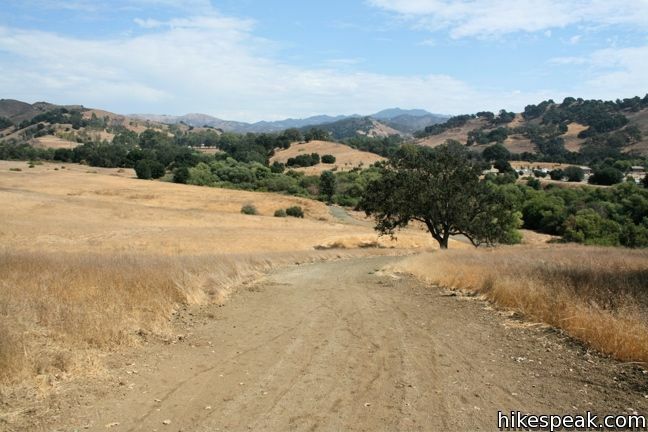 South Grassland Grail crosses a short grassy rise with sweeping views of the mountains in Malibu Creek State Park. After 2/3 of a mile, Grassland Trail drops to Crags Road and comes to an end. To the left, it is 0.2 miles back to the large parking area near the park entrance. This is the more common and more expensive trailhead for hikes to Rock Pool and elsewhere. In the other direction, Crags Road heads deeper into Malibu Creek State Park. Turn right at the bottom of Grassland Trail, heading northwest on Crags Road. 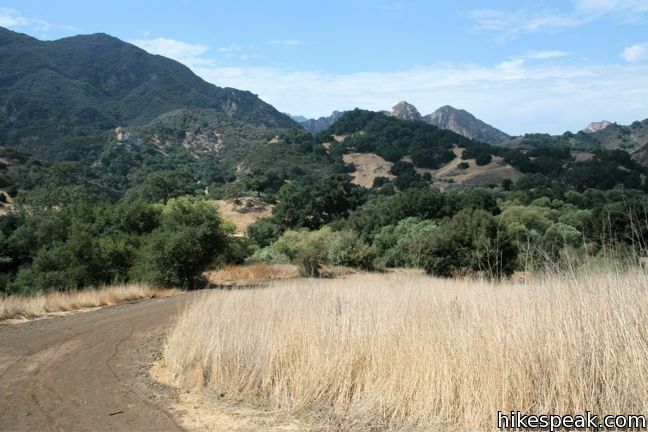 You will quickly reach a split where Crags Trail drops to the left across Malibu Creek while Crags Road continues straight ahead. This is the start of the loop in the hike outlined here. While there’s no reason you couldn’t turn left, these directions will lead you to stay to the right on High Trail. 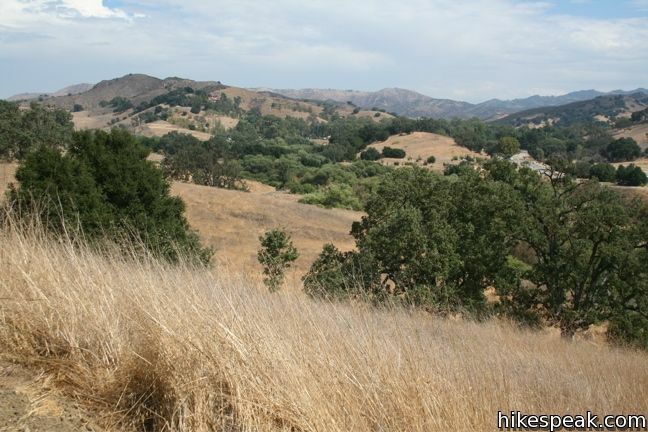 Follow High Trail to stroll along a level creek-side fire road that is shades by overhanging oaks. 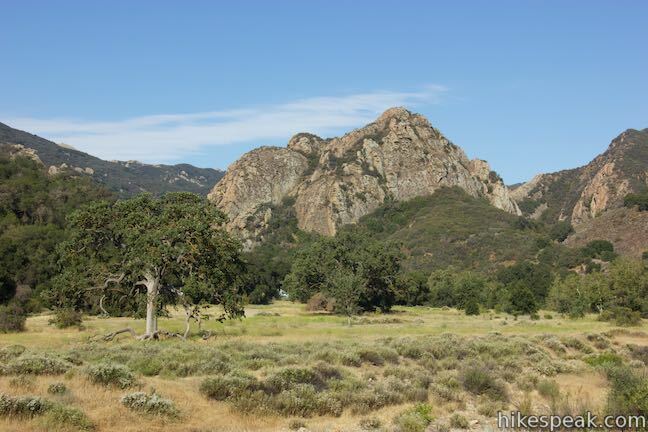 Malibu Creek dries out completely in the fall, but the views of the mountain range remain pleasant year round. 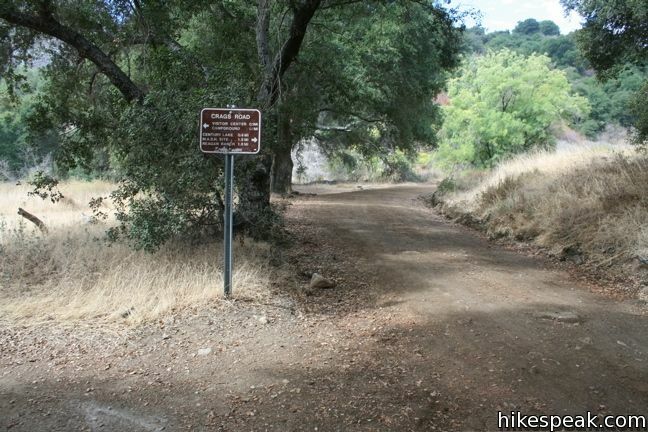 At 1 1/3 miles from the start of the hike, come to a signed junction which High Road and Crags Trail reunite. Straight ahead, Crags Road continues toward Century Lake and the old MASH set. For Rock Pool, turn left in the direction of the visitor center. 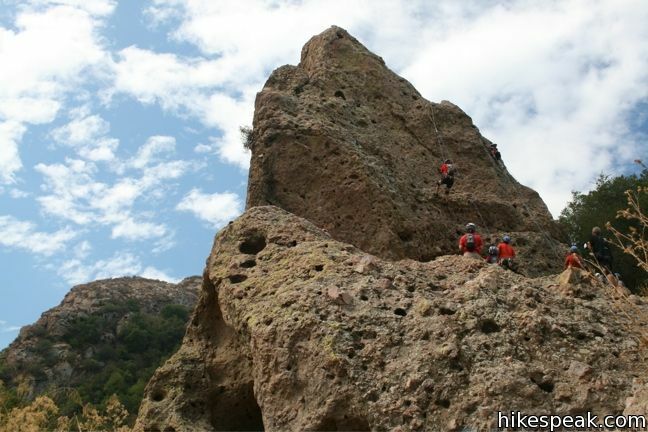 Just before reaching a bridge that crosses Malibu Creek, make a right on another wide trail. After a short distance, this trail turns to the right, but you should continue straight ahead on the unmarked but well-worn path to Rock Pool. The path follows the creek that flows out the bottom of Rock Pool, passing a popular climbing rock called Planet of the Apes Wall (because Planet of the Apes was filmed here). The sound of delighted children splashing around the inviting waters will likely guide your ears over the last 0.2 miles to Rock Pool. 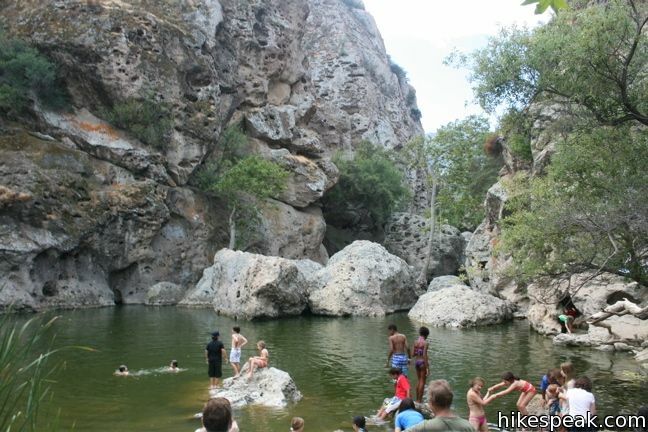 Rock Pool is situated at the outlet of a picturesque gorge. Sycamores and bays provide excellent shade and make this a perfect spot to have a picnic and relax by the reflective waters. Despite its name, you may see some people cliff jumping into Rock Pool. The LA Times warns that rangers may issue tickets to those who do so. 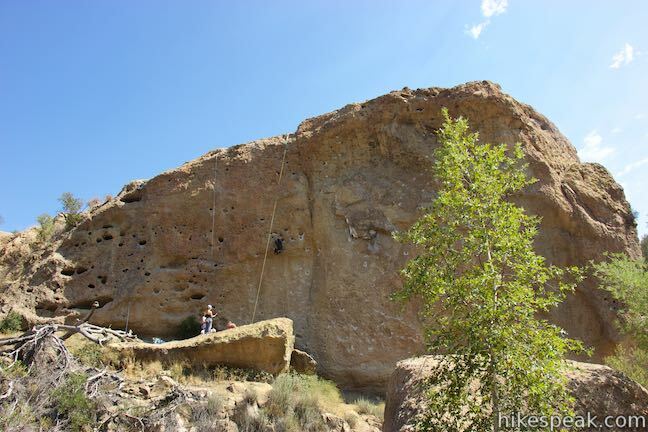 Upstream lies a steep gorge with porous rock walls that make it a playground for rock climbers and adventurous hikers. 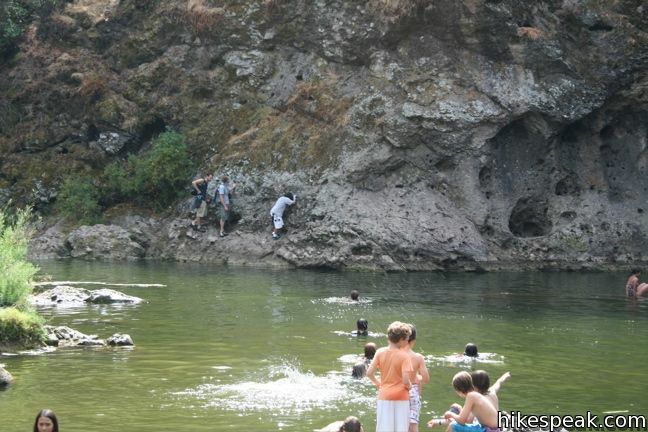 If you are in the mode for a challenging trek that traverses the gorge between Rock Pool and Century Lake, or just want to see photos of cliff jumping into Rock Pool, read more here. To get back to Grassland Trail, you may return the way you came or explore the other piece of Crags Road. This will add a loop to the middle of the hike. Returning to Crags Road from Rock Pool, turn right and cross over the Malibu Creek Bridge, which offers a great view toward the gorge above Rock Pool. 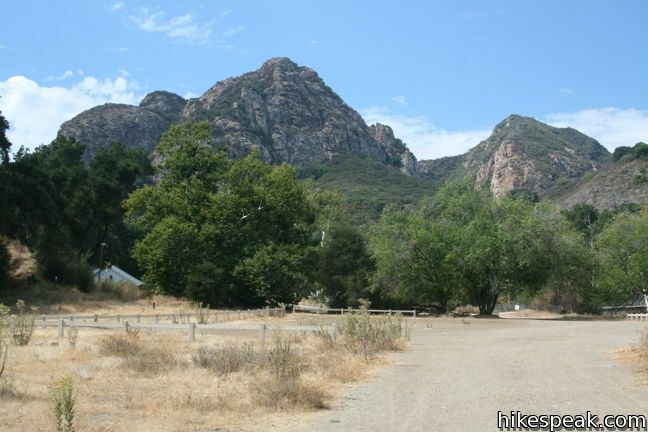 Pass the visitor center on the other side and then cross a level field, bearing right at two splits to come to a path crossing Malibu Creek that leads back to the original Crags Trail – High Road Junction. 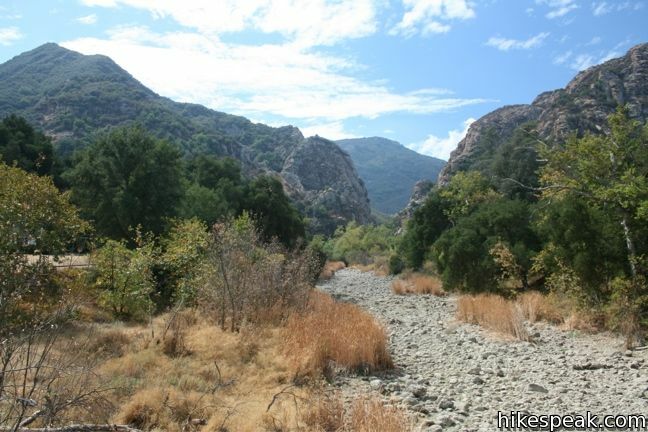 Malibu Creek may be completely dry or running high with water. Rock hopping is required in the spring, but the creek dries out completely during the fall, despite being the largest watershed in the Santa Monica Mountains. Turn right on Crags Road and walk a short distance back to Grassland Trail. Turn left. In this direction, the bottom of Grassland Trail is somewhat steep, but things tapers out as the trail crosses scenic grasslands and descends to Mulholland Highway. 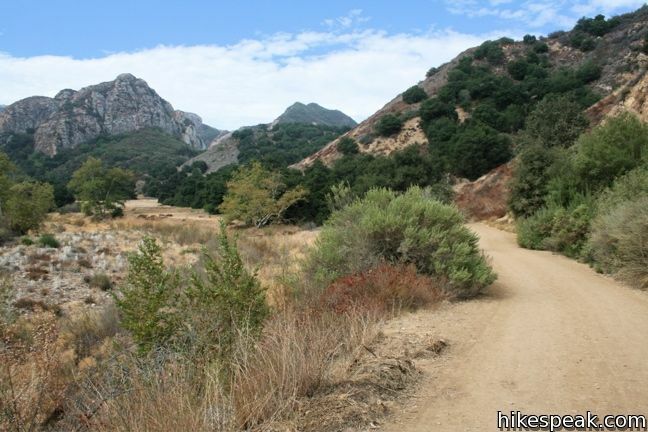 This level 3-mile loop offers a great introduction to Malibu Creek State Park. Bikes are allowed on trails in Malibu Creek State Park, but dogs are not (the final trail to Rock Pool is too rough for bikes). 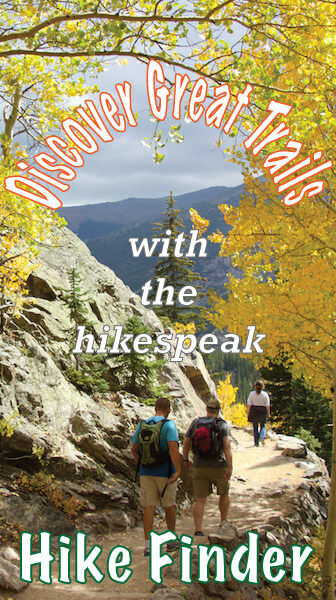 No fee or permit is required to hike in on the Grassland Trail, so get out and enjoy. 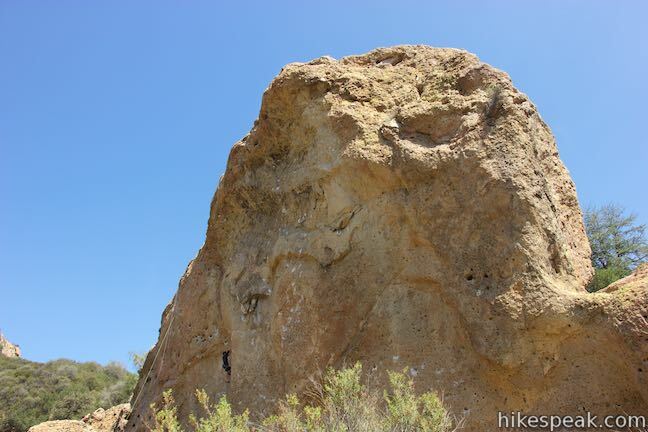 On the north side of Mulholland Highway, Grassland Trail continues, offering another popular hike, Talepop Loop. To get to the trailhead: Take Las Virgenes/Malibu Canyon Road to the intersection with Mulholland Highway, 6.3 miles from the coast and 3.3 miles from the 101 Freeway in Lost Hills. Turn west at the light on Mulhollad Highway and drive 0.15 mile to the trailhead on the left. Street parking can be found on both sides of the road. These photos were taken in October of 2010 and June of 1015. Click to enlarge. Can you help me figure out distance? Feeling incompetent at this one :). Today we did Grassland Trail to MASH site, on our return we did the Lookout Trail (which I believe first took us on Cage Trail), we came of Lookout trail at the other side (it’s a loop with two entrances as I’m sure you know). Then we returned to where we began. Thanks in advance!